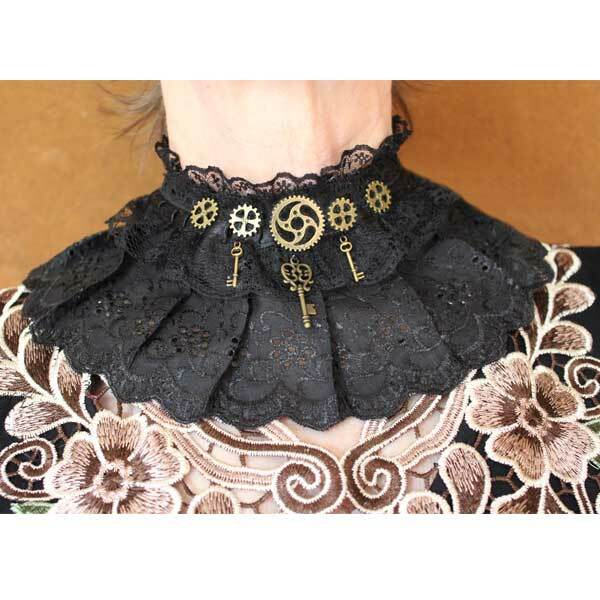 This steampunk Gothic lace collar is perfect for a Victorian, Gothic or steampunk costume, or can be added to any outfit to transform your look into something special. 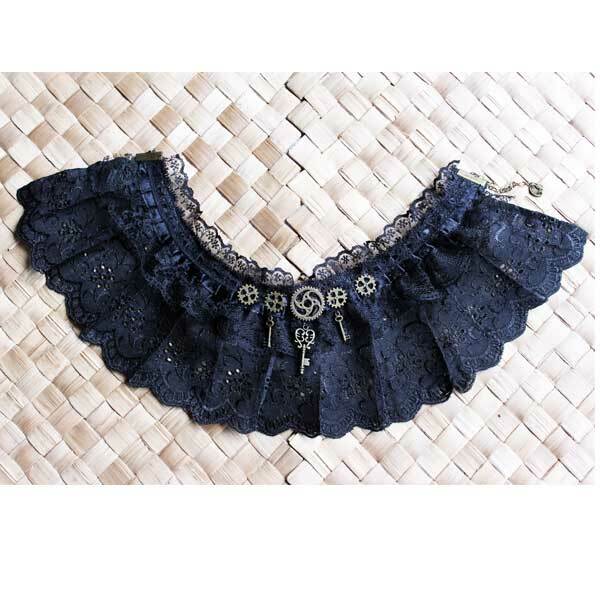 The main lace is cotton, and it has pleated satin ribbon and polyester lace on top. 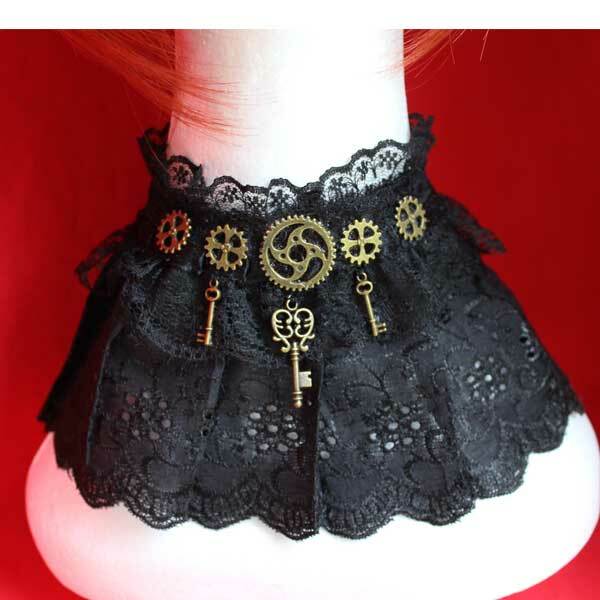 It does up with a chain and clasp at the back like a choker. 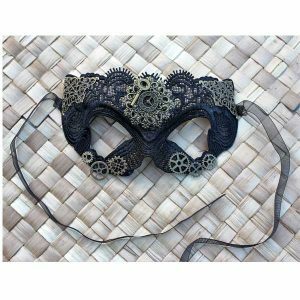 The last photo shows a similar style in white being worn so you can see how it sits when on. 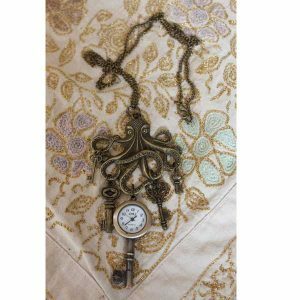 Cotton lace, satin, brass catch.